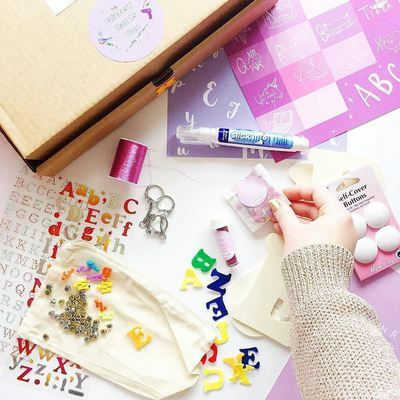 Enter your email address below to receive a notification when Emma Jewell Crafts Box starts accepting new sign-ups! 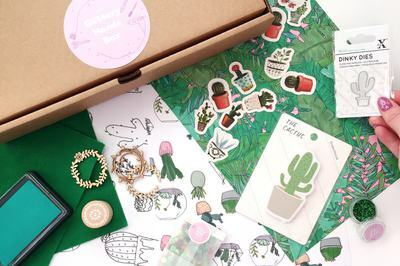 Enter your email address below to receive a notification when Emma Jewell Crafts Box is accepting new sign-ups again. 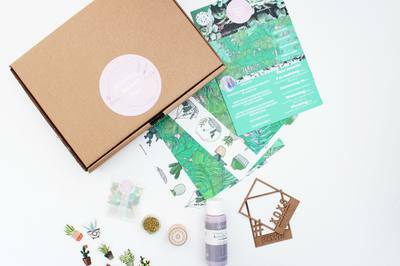 A monthly craft surprise, delivered to your doorstep! 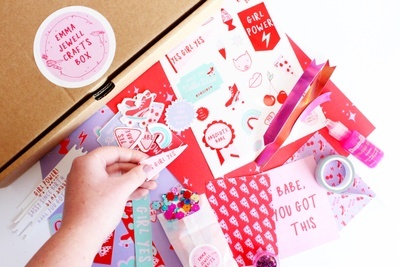 Sassy crafts for Crafty babes! 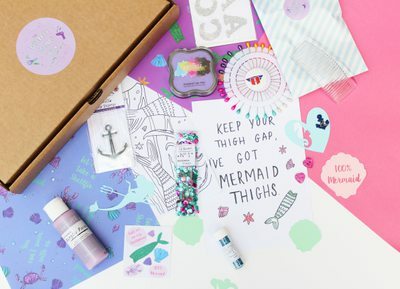 Shipping takes place on the 15th of the month from the UK. All orders must be placed by the 1st day of the month prior. 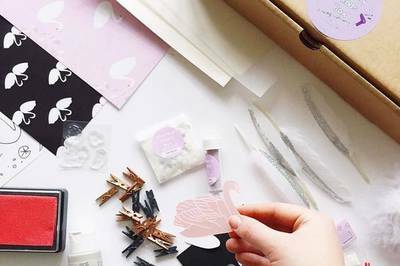 Craft Hoarders, Pinterest Addicts and Glitter lovers raise your hands! The Emma Jewell Crafts Box has everything a sassy crafter needs to get making. 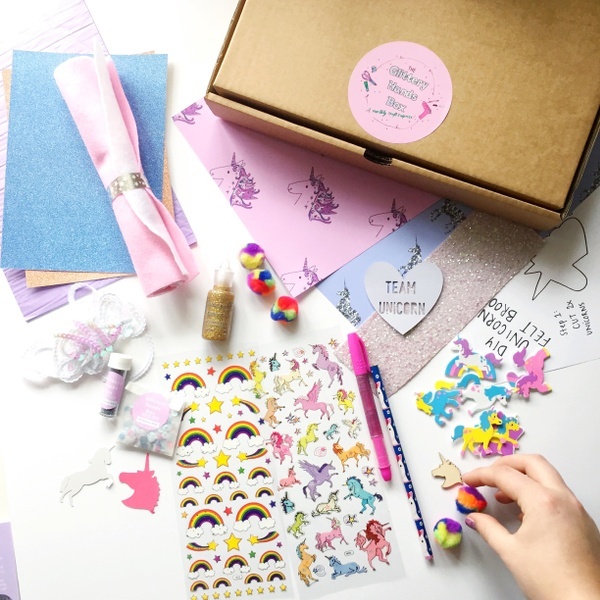 Each month you will receive exclusive sassy craft supplies designed by Emma, as well as handpicked pieces to inspire you to get creative! 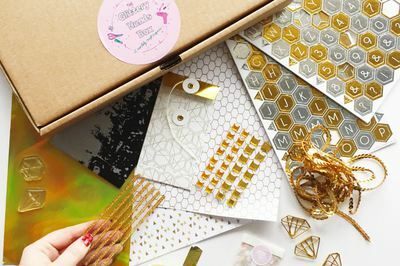 Join my craft revolution to make crafting cool! A perfect gift for craft lovers! 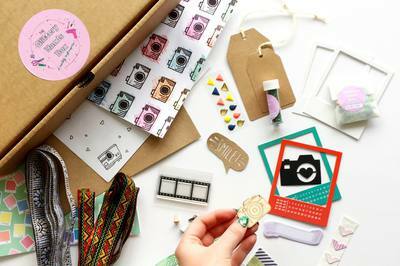 Quote Card and Mini magazine stuffed with craft ideas and gossip! My daughter always looks forward to her Glittery Hands Box. Always full of beautiful things to keep her busy. This box had nothing but a few sheets of origami paper, some sequence and some other junk. not worth the money . Don’t buy it ! 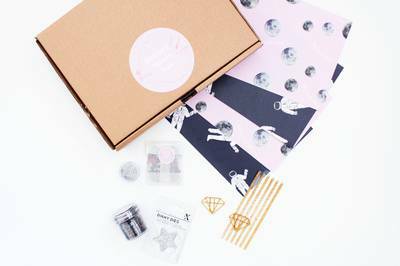 I love the glittery hands box and I’m always so exited for it to arrive on my doorstep! 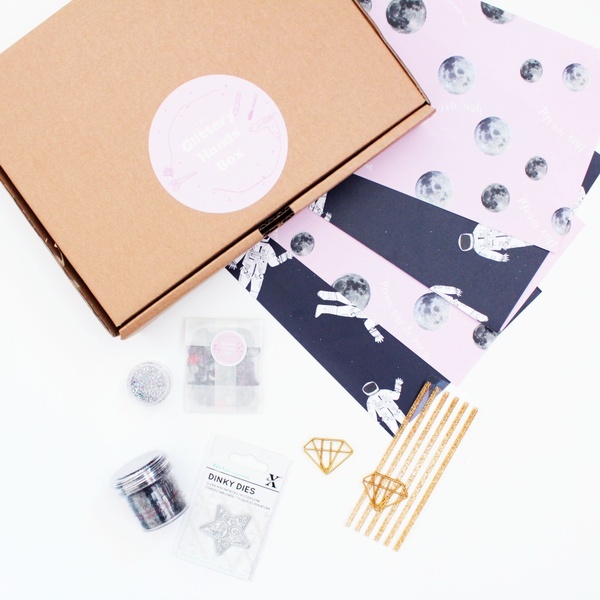 An out of space theme, full of out of this world craft supplies! 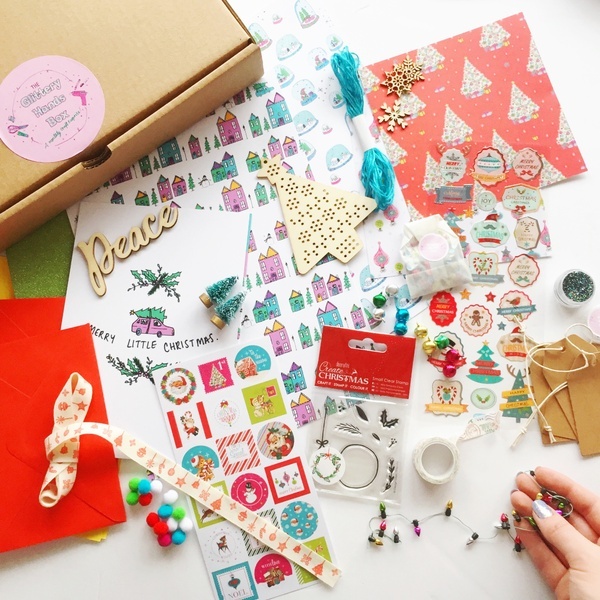 Our Christmas box is always a firm fave here! Stuffed full of supplies for the festive season, it always ships in November!